In August 2010, NASA released a photograph. It was a picture of the Earth taken from 100,008,300 km away in space. 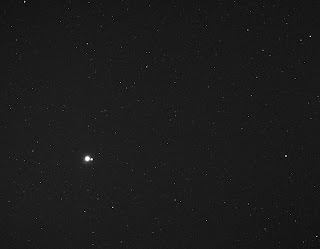 Taken on May 6th, 2010 from the Messenger spacecraft, the earth looked like a bright, white dot in the pitch-black darkness of space. The moon looked like a small animal feeding in the arms of its mother. I laughed the moment I saw the picture. Around 330 BC, Euclid defined a point as that which has no area; it simply indicates a position. Points connect to create a line. Those lines meet to create a plane and between that plane and another plane is space. This is the simple logic that defines dimensions in Western aesthetics. In 1926, Kandinsky, at age 60, published his book, Point and Line to Plane, and stated, "The geometric point is an invisible thing. Therefore, it must be defined as an incorporeal thing. Considered in terms of substance, it equals zero." Instead of commenting on the topic of the Beyond Kandinsky Symposium, Kandinsky’s Concerning the Spiritual in Art, the reason I am commenting on Point and Line to Plane is because Point and Line to Plane addresses the physical and spiritual elements of Concerning the Spiritual in Art. Furthermore, Kandinsky’s definition of a point is similar to an Eastern understanding of the world. There is a logic to all phenomena on Earth. Water must freeze to become ice, ice melts to become water, water evaporates to become rain and snow, which cycles on Earth to become flowers and life. All phenomena are built from the point and breaks down to the point. This is the basic cycle of nature. The point builds to a line, plane, and space, and all events and history are produced in space. Space is structure and daily life. If this every day space is broken down, we return to the plane, and the lines that produce that plane, and the point that makes up the line. That is why the point is the beginning. The "boundary of difference" between big things and small things, this or that thing, is the role of the point and line. The Earth looks like a small point from space. However, if we looked at the Earth from the moon, we would not call the Earth a point. Nor is the Earth called a point from the Earth. It’s difficult to define the boundary of a point and line, but we know for sure that the line is a point’s connection. That is why the point is reborn as a line and the line is reborn as a plane. The plane cannot be built without the functional death of the point and line. The point and line’s functional death becomes the line and plane, but the identity of the point or the line does not die. The location of the point and line’s functional death becomes the boundary between the point and the line. The place of the line’s functional death becomes the plane. However, the point and line and plane’s identity never dies and is inherent within space. Space’s inner energy is the life of the identities forming space, and it can be the action of the physical energy inherent to the space itself. Therefore, paradoxically, three-dimensional space’s physical and spiritual requisite is the point. Furthermore, the identity of the point is not just a rule that governs the point, line, plane, and space, but it is applicable to all phenomena and existence and events in the world. The problem is that when the size of the point is not visible to the human eye or when the point shrinks to such a small nano/micro scale that we are unable to measure it, the point’s function and definition is unclear. In other words, the point’s function dies to become the line, but there is no physical boundary limiting understanding and analog measurement. Euclid and Kandinsky both do not talk about the boundaries of the point’s smallest unit. When Kandinsky says, "it is not visible to the eye, but it is an essence, incorporeal and zero," he means transforming a physical analog into an immaterial thought. This is the true value of Kandinsky’s idea. Identities and ideas have no mass or volume and have no limit on size. All objects have a mass and volume, and volume is another word for space. Broadly speaking, space is another word for time. That is, what is between time is what is between space. What is between emptiness is time. Time clearly exists, but we cannot hold it in our hand. The past has already passed; the future has not yet come. But it’s not as if we can hold the present either. If we multiply 1 second by 10 to the negative 43, we arrive at the most basic unit of time called Planck time. We cannot conceive of exactly how long this unit of time is because it is so small, but it is not true that time does not have volume. It is only that we are unable to measure it. That is why we are unable to live even one day ahead of time or one day behind time. We cannot separate space and time, and if we transcend space and time, we do not exist. However, time clearly has its own face. Sadly, although the foundation of life as we know it is based on time, time cannot reveal its face by itself. Through the existence of others, time is able to show its face. That is why all objects in existence are a face of time. It is true for rocks, trees, you, and me. Time is the space (or the volume) of a moment. Thus, time as a concept has physical substance with mass and volume. Now I’ll come back to Euclid and Kandinsky’s definition of a point. "...It must be defined as an incorporeal thing. Considered in terms of substance, it equals zero," means that just because we are unable to measure on the nano/micro scale, the essence of the point does not disappear. The essence contains the substance and the identity together. This is similar to the 21st century’s digital awareness and mode of thinking. The digital’s most basic unit of the byte has no mass or volume. Only in the output does it become a physical object. Kandinsky’s definition of the incorporeal essence ultimately refers to things that have been transformed into an identity and ideology that has no mass and volume. Kandinsky transformed the physical energy that is the point into inner energy. Identity and ideology have no volume or mass but in the output, it is able to finally have shape and form. That is art’s alpha and omega. For example, a sculptor can take a rock in its natural state, exactly as it is, and create a statue of Buddha or a cross. Then the rock’s form becomes completely different. Nature’s rock becomes an icon according to the identity of the artist. When we encounter an icon in life that matches the concept of an icon in our minds, we start to pray and say our hopes and desires. But we do not direct prayers toward a rock in nature. But the rock already had all shapes and forms. That is why the rock in nature is concrete and becomes abstract when it has an intangible ideology. At last absolute concreteness becomes absolute abstraction. Abstraction is inherent in absolute concreteness and concreteness is inherent in absolute abstraction. This is the same process by which a point builds into a space and a space breaks down into a point. In Buddhism, all objects, or in other words, color and matter are another word for space and space is another word for color. All objects can become one according to the concept of "all matter is emptiness" and the process of breaking down is called "emptiness is form." In particular, Hua-yen Buddhism’s teachings of "one is all, all is one" is a physical analysis of how points build to space and space breaks down to a point. Buddhism’s "all matter is emptiness" does not mean a lack. I will use my work as an example. The completed picture appears to be nothing but a blurry, gray image, but there are physically 10,000 photographs within it. Those 10,000 photographs of New York streets, buildings, people, and events were vividly captured over the course of several years, lovingly, with proper photographic technique. I’m not Buddhist and I didn’t do this project with the intention of explaining the concept of "all is emptiness," but this is similar to that concept of emptiness. If one penetrates into the gray image (as in Heidegger’s concept of entwurf, or the mental process of absorption in something), one is able to meet again the countless events and identities melted into the 10,000 cuts. This process of disassembly is "emptiness is everything." If one physically dismantles an analog picture, one is left with the particles that make up analog film; in a digital process, only the pixels are left. In the final gray image of the Indala project, those 10,000 photographs have become one and each has lost its function but their identity is not gone. Just like how my DNA contains all of humanity’s genes, identity does not disappear. This is similar to how the point’s identity is inherent in space. 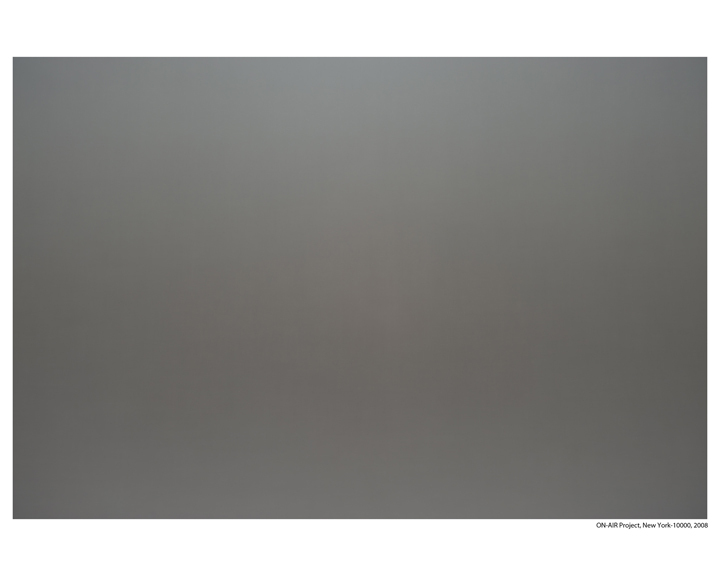 Ironically though, the final gray picture of one city composed of 10,000 different superimposed photographs is digitized and has no mass or volume; it only has form when it comes out. I have practiced Zen for about 20 years. Through meditation and Zen, I sought the true nature of existence and trained myself to experience life. This process has allowed me to live life and become enlightened. One ordinary day in 1998, I was deep in training when I saw a small rock perched on top of a big rock twice my height. This is a common sight that one can easily see anywhere. I spent a long time training myself to look for the logic of the universe in everyday life, and the key point of that image training was "dialogue." Through dialogue with objects, I can contemplate, devote, and disassemble life into new experiences. So naturally, I started a dialogue about the connection between the big rock and the small rock. On that windy winter day, I sat in front of the big rock all day and started a dialogue about the connection between that big rock, the small rock, and me. I wrote down the things they told me in a notebook. The rock’s connection showed me the world beyond what I had known before—it was like looking at a panoramic picture. Toward the end of the afternoon, as I was about to fill the entire notebook with all I had written about the connection between the little rock and the big rock, I picked up the small rock with my hand. I was startled the moment I lifted the small pebble. There had been a leaf under the pebble. The whole day I had sat in front of them, and it had never occurred to me that there might have been a leaf underneath that small rock. Again, I started to record the connection between the big rock, the small rock, and the leaf. I set out to search for the connection between the heavy rock and relatively light leaf, and to search for the leaf’s story. The sun had already set behind the western mountain and as a shallow darkness started to fall, I picked up the leaf that had been underneath the small rock. I was shocked again the moment I picked up the leaf. On the underside of the leaf, there was a white spore attached to the leaf. I couldn’t have imagined such an event. That moment, the spore that was about 1 cm small felt to me like a great ball of life. I was touched. The big rock and the forest and the trees, the flowing river and the rocks on the riverside and all things surrounding me felt like a ball of life. The darkening valley transformed into a festival for the life of living things. That small, single spore led me to the place of DNA—life’s smallest unit. This all happened in an instant. It’s natural that from the mineral rock to the spore, it all unfolds from DNA. All things that exist are connected, like the double helix of DNA. Ultimately, life’s smallest unit of DNA is also an identity of the point. And although human eyes cannot see DNA, it has a mass and volume. This was the starting point for my "ON-AIR Project." Euclid’s definition of a point and Kandinsky’s "immaterial essence" are only possible when they have a position, a location and this is when the point necessarily has a mass and volume. However, the point’s physical energy is free from mass and volume when it transforms into an identity or ideology. Kandinsky liberated the point from matter. 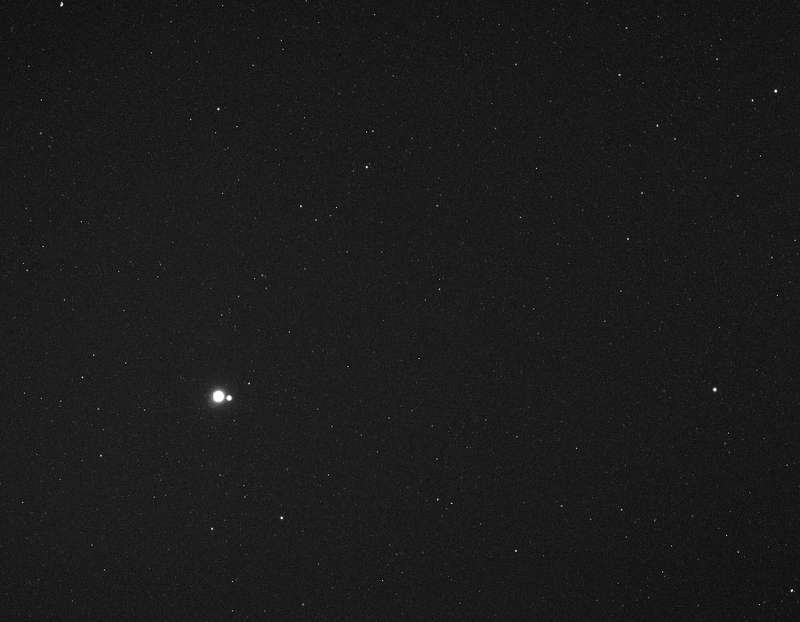 Earth looks like a small dot when seen from 100,008,300 km away. No other words of description come to mind. In this place, humans advance history and evolve. Euclid and Kandinsky lived here, and 21st century humans continue to live in this place. I have deep respect for Kandinsky, who discerned the logic of art and the logic of the world through the identity of the point, line, and plane 100 years ago. My explorations about the point are an Eastern philosophical analysis of the world that sees the earth and people in terms of the microcosm. I ask the understanding of the panel in my subjective analysis. Note: The Korean Chinese character for “space” is made by combining the character for "empty" and the character for "between." The Korean Chinese character for "time" (as a general concept) is made by combining the character for "time" (as a single point in time) and "between." Wow, I have to digest and read again to correlate my own thoughts and perspective of time.